A Scoliosis Testimonial, How the Pain Went Away! This is a scoliosis testimonial shared by a Cindy. Taking an effective glutathione supplement greatly diminished her pain which she has been in since she was 12 years old. Hi, my name is Cindy M. I’ve suffered with severe scoliosis since I was 12 years of age. I also have a lower back problem that caused my scoliosis; which is known as Spondylolisthesis. I was in severe pain. I went through surgery at 13 and was in a body cast for 9 months and in bed for 6 months. I couldn’t sit up or hang my leg off the bed. I was basically confined to my bed. They did the surgery to slow the curve down and I didn’t have your typical surgery that you would have for scoliosis, because of my Spondylolisthesis. I had a Harrington type pin placed in my lower back instead of rods. Prior to all of this I wore a Milwaukee brace for two years. It didn’t work because of my lower back, however. Now they would like to go in and put four Harrington rods in from top to bottom. And also some stainless-steel pins in the front to secure what they would have to do in the back. My doctor at University of Michigan has told me that he would like to tell me that he’s doing it to get rid of my pain but he is not. My spine’s not just curving, but it’s turning my torso and they would lie to try to stop that. I have suffered every day of my life with this pain. I have tried several different natural methods and I didn’t choose synthetic pain killers because this would be with me for the rest of my life, and I would have to take stronger doses with each passing year. The day I was introduced to the glutathione supplement, I was in severe pain. I was very skeptical because of all the things I’ve tried. But I was always praying something would work. So I took the glutathione supplement and I went and rested because I didn’t think I was going to be able to go do errands that I had to do. So I finished the week’s supply and two days went by without the glutathione supplement and I felt like I had been hit by a Mack truck. I was back to severe pain, calling everyone to see if I could get some more. I’ve never done crack, but I felt like an addict. I was looking for that fix. At that point I knew that it was the glutathione supplement. It’s been almost four months now, and the glutathione supplement has changed my life. My quality of life has never been this good since I was a little girl. I know everybody is different. It might not work on some people as fast as it did on me, but it was like the forest fire was put out on my back. I still have scoliosis but I’m not living with pain anymore. This scoliosis testimonial is proof that glutathione works wonders on anyone experiencing pain. 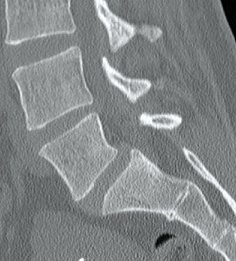 If glutathione can diminish pain from someone with Scoliosis and Spondylolisthesis, imagine what it can do to minor pains!